For this blogpost we went through our photoalbum to look for our 10 most favorite picture perfect, iconic and best NYC photo locations. We could have easily extended the list to 30. The best NYC pictures are the ones taken on a sunny day with clear blue skies. But sometimes clouds can add a dramatic splash. Like in this picture, taken on top of the Whitney Museum. Near the Highline, where there are loads of picture perfect spots. 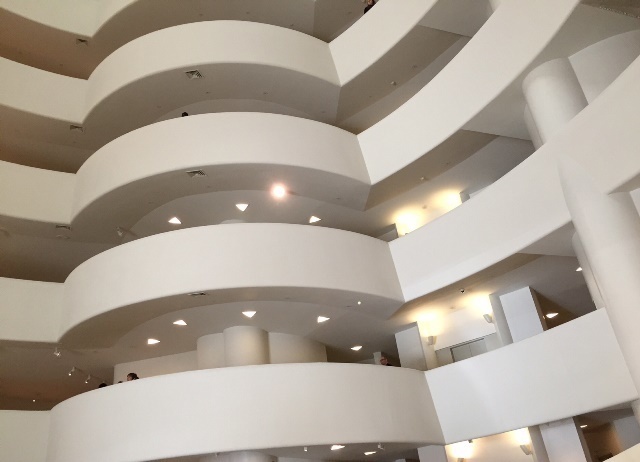 The inside of the Guggenheim is a happy place for architectural picture taking lovers that visit New York. As are Grand Central Station and The Oculus. As far as the outside goes I'd say the Chrysler Building is on top of my most favorite and iconic NYC buildings. Talking about happy places....running across the iconic piano from the movie BIG will not only bring a smile to your own face but most certainly also to the person taking the picture. It is now located on the bottom floor of Macy's at Herald Square. 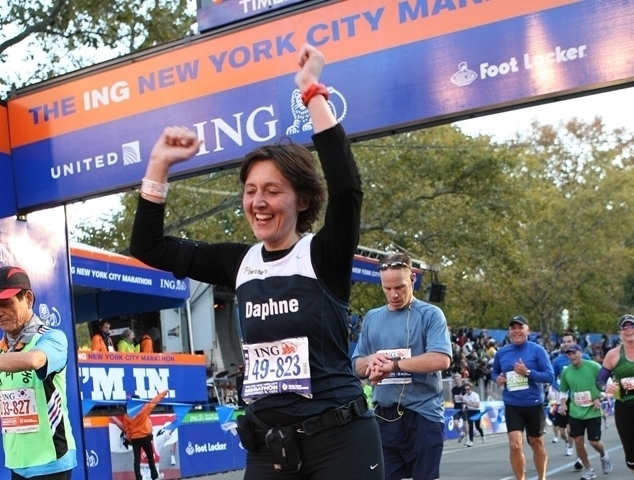 The finish line of the NYC marathon in Central Park. Ofcourse Central Park is one big perfect picture scene in New York - with the Loab Boathouse, the Imagine memorial and Bethesda Fountain to name a few - but when I look at this picture I can still feel what I felt that moment. I DID IT! Robert Indiana's LOVE sculpture on 55th street and 6th Avenue. And the HOPE, on 53rd and 7. You might have to wait a little bit before you can get in front, but it's worth the wait! Want to see more LOVE-ly streetart? Check out the blog I posted for Valentine's Day. The top of the Rock. 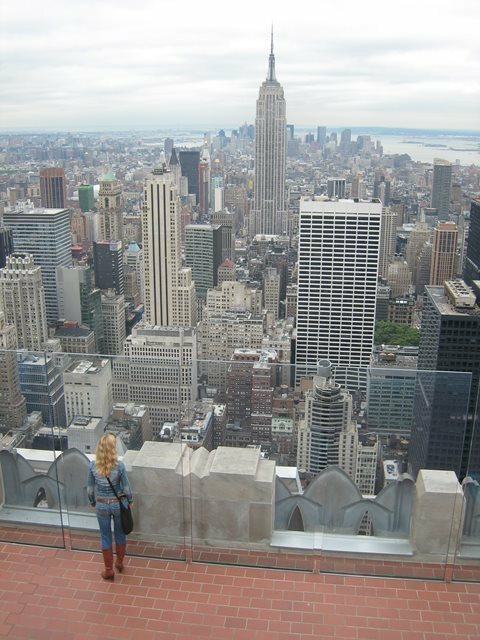 I just love this picture of Newyorkcitytripper Esther looking at the Empire State Building. Pictures with streetart are always cool. Well, at least according to me. New York City has lots of picture perfect and awesome murals. If you're interested in streetart then take a look at the blogs about my streetartrun through the Lower East Side and the streetarttour through Bushwick. Another famous NYC picture everybody will recognize. A view on the Empire State Building seen through the Manhattan Bridge. Taken in Dumbo, with its cobblestone streets and red brick buildings. Go to Washington Street if you want yourself in this shot. Good to know: the place is also referred to as "Selfie Central". A picture of you in New York City in front of your name just has to be one of the coolest pictures in your album! If you're in Dumbo and your name starts with ES you're in luck. Just steps away from Washington Street is this "mural". Take Water Street towards Main and you'll come across it. Photos with a Yellow Cab in it are typical New York. Your best chance in finding them is basically all over Manhattan. We once stopped right in the middle of crossing Broadway to take a photo of 4 Yellow Cabs. Just as their light turned green. Not very smart. Great picture though. Flatiron Building. For the best shot go to 5th Avenue and 24th Street. Or Madison Square Park. And while you're there cross the street to check out Eataly. Brooklyn Bridge. You'll be taking loads of pictures while walking across it. Although you can also get some awesome shots from Dumbo. Or the East River Ferry. Times Square. Either sit on the bleachers and take random 360 degree pictures or go to the Broadway Lounge in the Marriot Hotel. On the 8th floor. If you're looking for a cool place to stay near Times Square then check out The Moxy Hotel. I loved my stay there! The One World Observatory. See New York with a birdseye view. And then there's ofcourse the skyline, seen from Queens and Brooklyn. Or a boat. The cobble stone streets in Dumbo, Downtown Manhattan and the Meatpacking District. The Brownstone buildings in Harlem, Chelsea, the West Village. The cast iron buildings in Soho. The Parks. Lady Liberty. And so on, and so on. Play minigolf on the rooftop of this funky, fun and affordable hotel in New York City. And when you arrive at JFK a staffmember will direct you into what we call a Disneyland line. Why go into an eyewear shop if you don’t need glasses? Trust us, you’ll want to see this. Over a 100 vendors, artists and designers offer their goods on a Brooklyn Flea. Ludlow Coffee Supply. A cool litte coffee spot in the Lower East Side of Manhattan. Step into a Meatball Shop and find yourself in meatball heaven. And in a cool place. MoMA PS1 devotes its energy and resources to the most experimental art in the world. The Butchers Daughter, a “juice bar, cafe and vegetable slaughterhouse”. Want to know where to find the best photolocations in New York City? Here’s our list. Do make sure you have enough time to check out all six floors of this interior mecca.